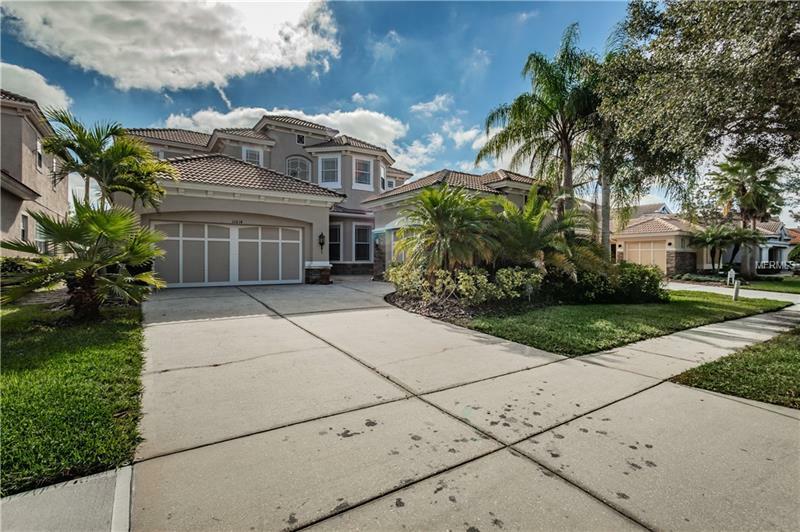 Truly spectacular home on a oversized lot located in the gated Waterchase community. This beautiful custom home is exquisitely designed with state of the art appliances and high end details that showcase the impressive workmanship, crown molding, large baseboards, volume ceilings and doors that went into this home. Over 3300 sq ft, this 4 bdr, 3 bath home is equipped with a 3 car garage, and an in-ground pool and spa. The great floorplan features 4 br, 3 ba, separate formal living and dining room and a split 3 car garage. Upstairs offers a loft area and a separate huge bonus room. The eat-in kitchen boasts 42" cabinets with crown molding, solid surface countertops, custom tile on backsplash and center island, walk-in pantry and wall oven. The downstairs master suite features a tray ceiling with crown molding, master bath has dual sinks, separate garden tub and large shower with upgraded tile and listellos and two large walk-in closets. The many other features of this fantastic home include: elegant tile roof and exterior stone accents, large screened lanai with brick pavers, upgraded light fixtures and ceiling fans and much more! Waterchase is an exceptional community with lots of amenities including: pool with waterslide, fitness center, clubhouse, gated security, lots of community events and much more!